Captain America: Civil War is only a few months away, and we are getting a greater insight into the film, as well as the discovery of some yet unnamed characters, like that of Martin Freeman in particular. The exclusive photo and story from Empire Magazine revealed that Freeman (standing next to Emily VanCamp as Sharon Carter) is in fact portraying Everett Ross, a Marvel character from the Black Panther comics who was a government attache to Wakanda. 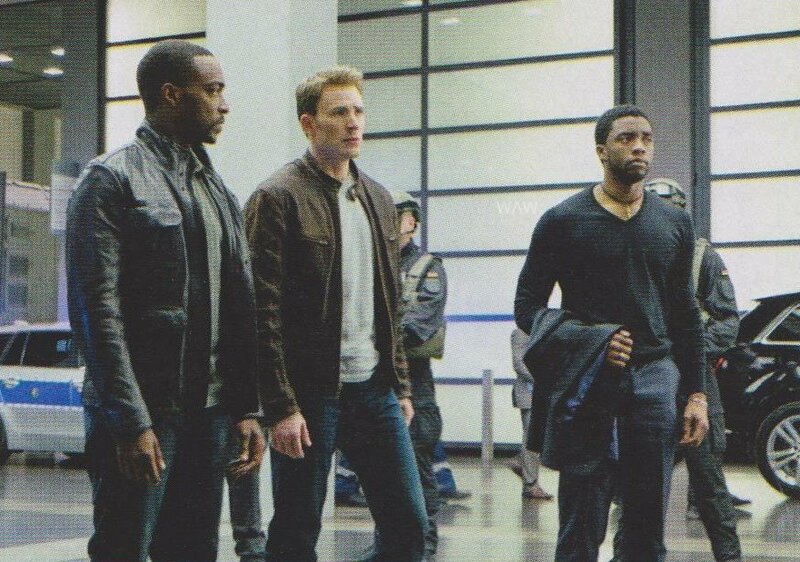 In Civil War, Ross is part of the Joint Counter Terrorist Center, a group authorized by the Sokovia Accords to monitor the activities of superpowered individuals like Captain America (Chris Evans) and Black Panther (Chadwick Boseman). Co-director Joe Russo previewed the scene pictured above, noting that the scene occurs in Germany, bringing Captain America “full circle” to his introduction to the world. Ross will clearly be an impediment to Team Cap as they surrender their weapon of mass avenging like his shield and The Falcon’s (Anthony Mackie) wings. Marvel’s Captain America: Civil War hits theaters on May 6, 2016.